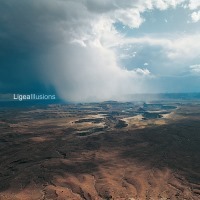 Ligea - Illusions - BFW recordings netlabel - ambient shoegaze indie experimental electronica - music is free! New music from from Oleg Marchenko, a electronic music producer from Kiev, Ukraine. Ligea differs from Oleg's other project Organoid (see his previous BFW release Alienation Horizon). This album is a mix of Berlin School electronics, IDM and grand orchestrations. Piano, strings, beats and electronics - this is perfect soundtrack material. Ligea is a music project of Oleg Marchenko, a electronic music producer from Kiev, Ukraine. He also makes music as Organoid.